The Comedy News: 9-Year-Old Gets Downgraded for Spelling June, "JEWNE"
Brian's initial defense was that he recently started Hebrew school so he has 'Judaism on the mind' more than usual. 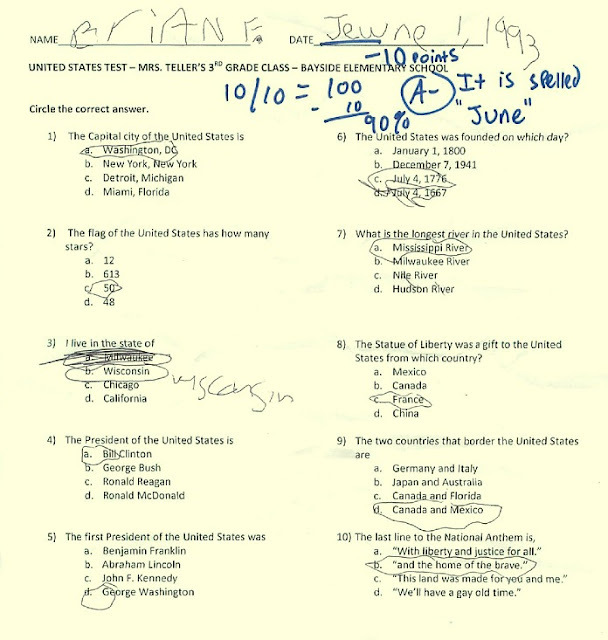 Still, his teacher did not budge on Brian's egregious spelling error and insisted that the grade remain the same. Mark Twain once said, "I don't give a damn for a man who can only spell a word one way." Mrs. Teller's response to this note was forcing Brian to do one month of indoor recess for using the word "damn". "but by then, school will be over, we don't have school in the month of JEW-LIE."